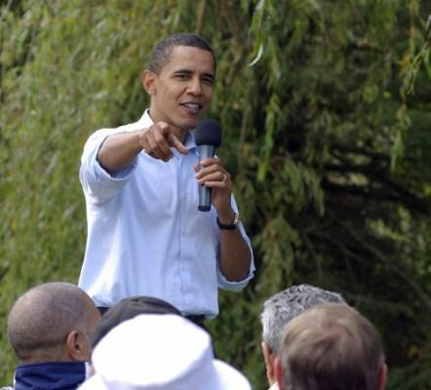 OBAMA WANTS YOU … to be part of this important and historic moment. MANILA – Wanna know who the next Vice President of the United States will be? Illinois Sen. Barack Obama, not only the Democratic Party presidential nominee-in-waiting but also the next President of the U.S., is set to announce the identity of his Vice Commander-in-Chief through the technologies of Internet e-mail and cellular text messaging. “Barack Obama is about to make one of the most important decisions of this campaign – choosing a running mate,” Obama for America campaign manager David Plouffe said in an e-mail to worldwide supporters, including the Manila-based Filipinos for Obama and Philippines-America for Obama movements. So, guys and gals, be the first to know who Obama selects – not just his Democratic nomination running mate, but his White House second-in-command and the next American Vice President.